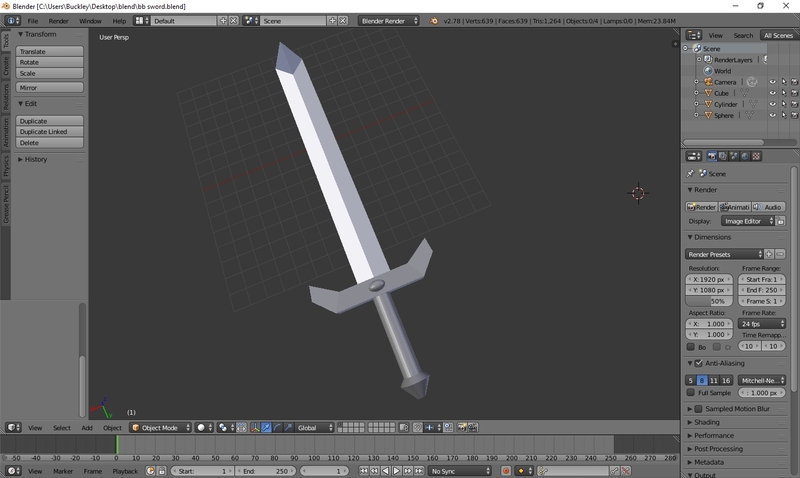 I’ve started learning 3D modeling using a tool called Blender (via some excellent, and very cheap, video lectures from Udemy). 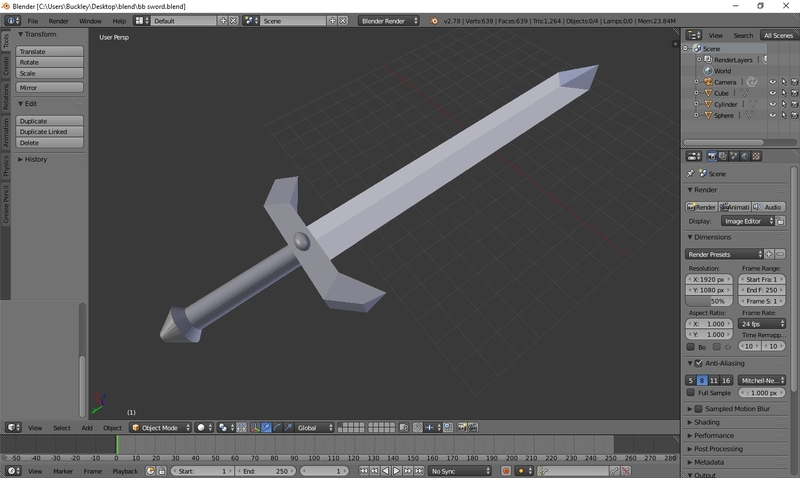 Blender is a lot of fun and seems pretty powerful. I’m still very new to the whole thing, but here’s an early, simple creation. Looks really good. I haven’t gotten that much into blender either, but I was having troubles with the curved wires on the rigging for the zeppelin I was making. Did you make the blade out of one piece? or is it multiple pieces glued together? Also it won’t let me put in fake websites in the details page anymore. Lames. Thanks! 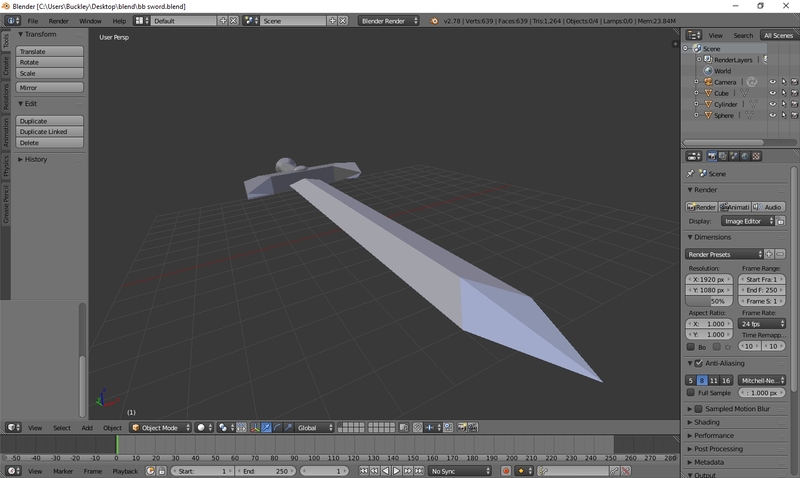 The blade is basically a cube that I stretched out, extruded, and distorted, several times. Extruding is one of the most useful things I’ve learned so far.